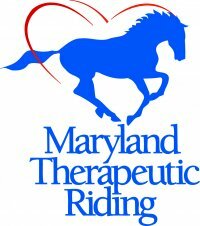 Founded in 1996, Maryland Therapeutic Riding (MTR) seeks to improve quality of life and conquer physical, developmental, and emotional health challenges through human and horse interaction. MTR offers high-quality horseback riding programs which open new pathways of healing for children and adults with a wide range of physical, mental, and emotional challenges. Conditions served include: cerebral palsy, spina bifida, neuromuscular disorders, post-traumatic brain injury, autism, ADHD, and cognitive disorders. Riders experience improved self-confidence, strength, balance, coordination, attention span, and language and social skills. The farm is located between Baltimore and Annapolis, Maryland on a beautiful 25-acre farm.